Huggably cute. 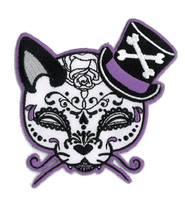 Nightmarishly lethal Sweet Fiend. 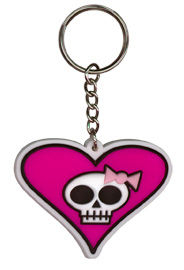 3d girly skull with her trademark pink bow on a heart as a tactile rubber keychain. From the My Sweet Fiend series. 2.125" x 1.75" Artist: Cruiseship Drummer!